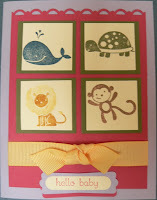 Accessories: So Saffron ribbon, Scallop Trim border punch, Word Window punch and label punch. Awwww! So cute with all these little creature of nature. Just adorable. Thanks so much for sharing with us. Well isn't that just TOO cute?!?!? Love it! Very cute! I just love those little animals too! Thanks for playing along this week! I love Fox and his pals too. This is lovely Holly. 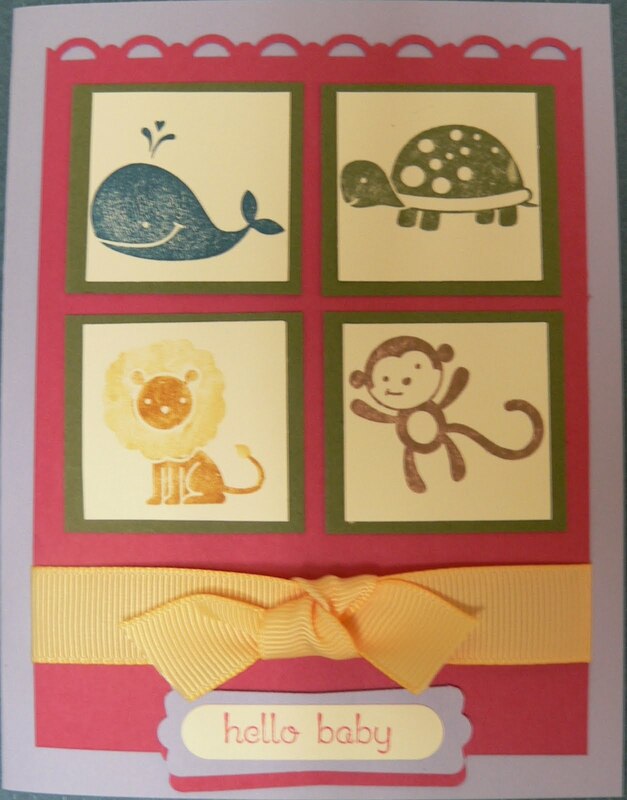 I think it was a very neat idea for you to use four images on the card. Very neat. I need to keep that idea in mind. Too cute!! I love her take on our sketch this week!! Thanks for playing along!! Oh...so cute! Love how you changed it up with the divided squares! Thanks for playing along with the sketch this week!